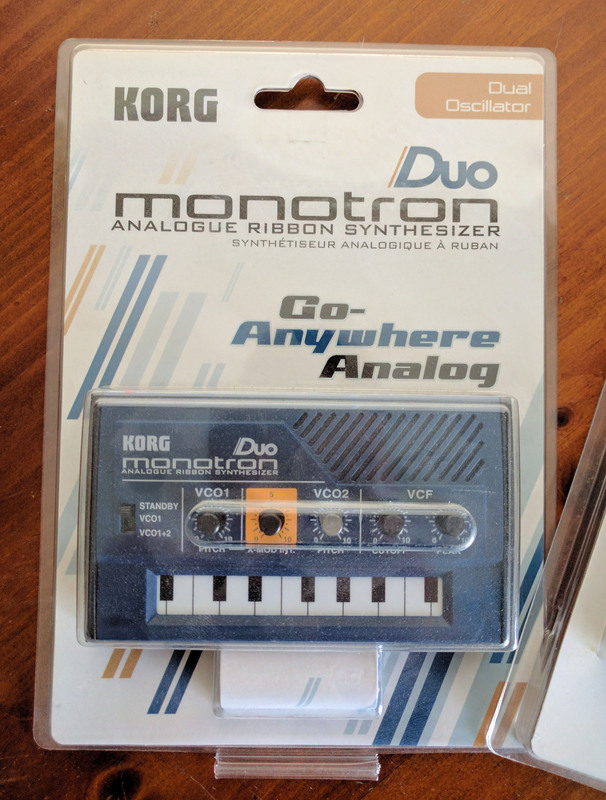 Korg Monotron Duo dual-oscillator handheld ribbon synthesizer, with built-in speaker. New, in unopened packaging. This item is NEW. Shipping is $7.95 within the continental US; customers outside of the continental US should email or call to purchase, as we will have to calculate the correct shipping cost for your location.